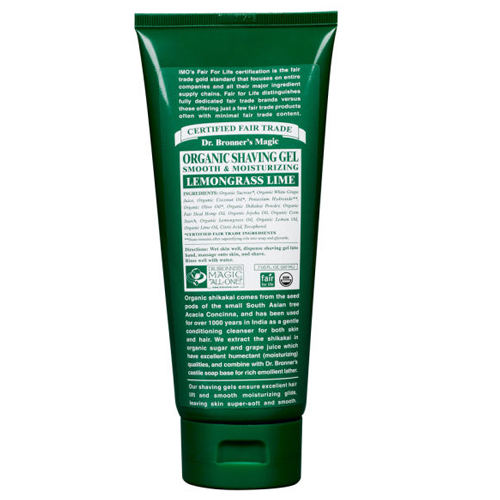 Dr Bronner`s Organic Lemongrass Lime Moisturising Shaving Gel utilises natural ingredients with eco-friendly practices, it is the answer to the perfect shave! Organic Sucrose*, Organic White Grape Juice, Organic Coconut Oil, Potassium Hydroxide**, Organic Olive Oil*, Organic Shikakai Powder, Organic Hemp Oil, Organic Jojoba Oil, Organic Corn Starch, Organic Lemongrass Oil, Organic Lemon Oil, Organic Lime Oil, Citric Acid, Tocopherol. 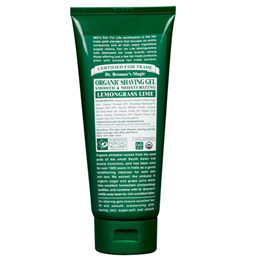 Below are reviews of Dr Bronner`s Organic Lemongrass Lime Moisturising Shaving Gel 207ml by bodykind customers. If you have tried this product we'd love to hear what you think so please leave a review.